I have a confession to make. I sometimes seek “self-help” remedies when I need to seek help from a fellow health care provider. This I am going to share with you story is not one that I am proud am proud to tell, 20 years ago while I was trying to get back into my exercise routine, on New Year’s day, I got on my new stationary bike and rode an hour until my knee swelled up. This could have been due to the fact that I didn’t adjust the bike for my long legs or maybe it was overdoing it after slacking on my physical activity over the holidays. Anyway, I decided the swelling would go down. This was a mistake on my part because intermittently it has caused me a nagging pain for years. You may be now wondering, why did I not get help? I can’t tell you why exactly why, but here are some of the excuses that have come to mind. “I was busy with work and my young son so did not feel that I had time to take care of it.” Another may have been money, when you don’t have sick days-the time off work it affects the bottom line. Sometimes jobs are hard to take off too. Insurance doesn’t fully cover for visits so sometimes the money just is not there. But the main reason probably was me being stubborn and thinking that I could take care of it myself. In the back of my mind I was also scared to discover what might be found, what if it could not be repaired and what if I needed surgery. Would I want to know or just tough it out? I am pretty tough. The pain in my knee came off and on but I kept up with my exercise routine. 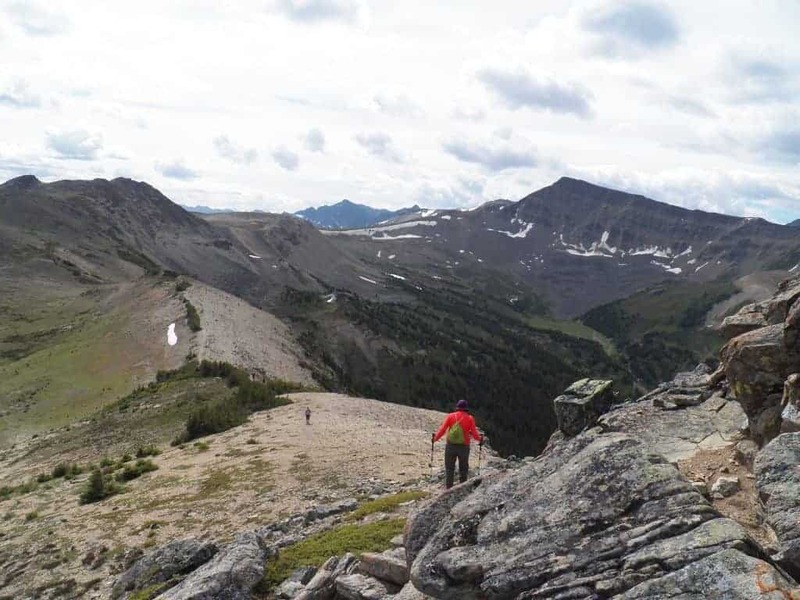 I walked my dog daily, went to exercise classes and hiked long miles of mountain trails. Sometimes at night the pain was so excruciating that I could not sleep but I rarely took over the counter pain relief. Sometimes I worried that I would have to have a knee replacement, it sure did hurt. My sister, a massage therapist said told me that I had a lot of scar tissue so massage would help. It really did help but the pain always came back. I tried acupuncture for several years and it was relaxing and I liked it but there was still pain. I knew that I should talk with my physician to find a physical therapist but I was pretty nervous, what if it really got messed up. What about the pain? What if someone wanted me to get surgery? Last year, I met Sean Simonds with Specialized Physical Therapy and we worked together on some projects keeping our patients healthy. I trusted Sean to work with my clients so when my knee really started hurting again, I realized it was time to get help. Even though I went to school with physical therapy students in college, I did not know completely what to expect but I was brave and told some friends that I was going so I had to go ahead and follow through. Need to rebuild your strength and/or rehabilitate after an injury or surgery. Receive expert education on the best ways to begin an exercise routine with a chronic disease like heart disease, or diabetes. Improve body function during a nerve/muscle chronic disease like Parkinson’s. In fact, Specialized Physical Therapy has uniquely designed Wellness Programs, Diabetes Programs and a Parkinson’s Program that have already benefited lots of clients. Working in as a wellness and cardiac Rehab registered dietitian nutritionist with the Duke University Health System and a wellness registered dietitian nutritionist with Wilson Medical Center, as well as being a member of the YMCA, I am not a novice to exercise equipment like a treadmill, rowing machine and a bike but here are a few things that were new to me on my physical therapy journey. Let me tell you a little bit about them. 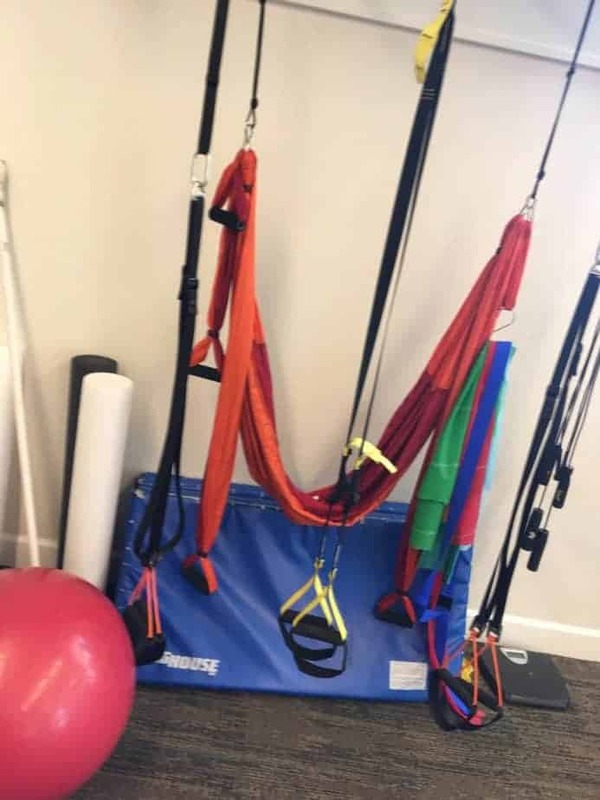 The TRX Suspension Trainer reduces the stress on the knees and back when doing some remarkable exercises and I have done my assigned shared of squats with the assistance of Specialized Physical Therapy TRX functional training system. Suspension trainers to achieve functional physical improvement. The ultimate of cool that will not melt while your muscles are chilling from all your hard work! 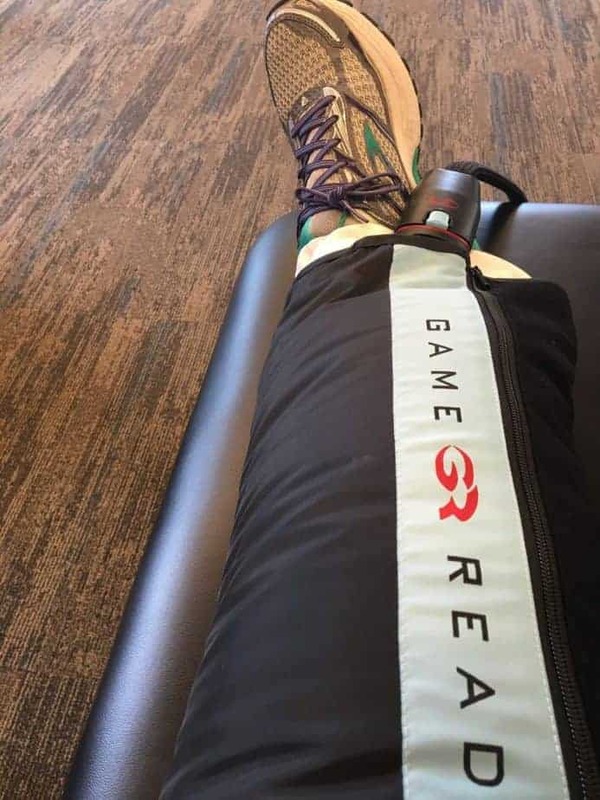 Game Ready’s cold therapy compression system helps improve the body’s recovery from injury. Ready for being iced after after some hard work on my knee. 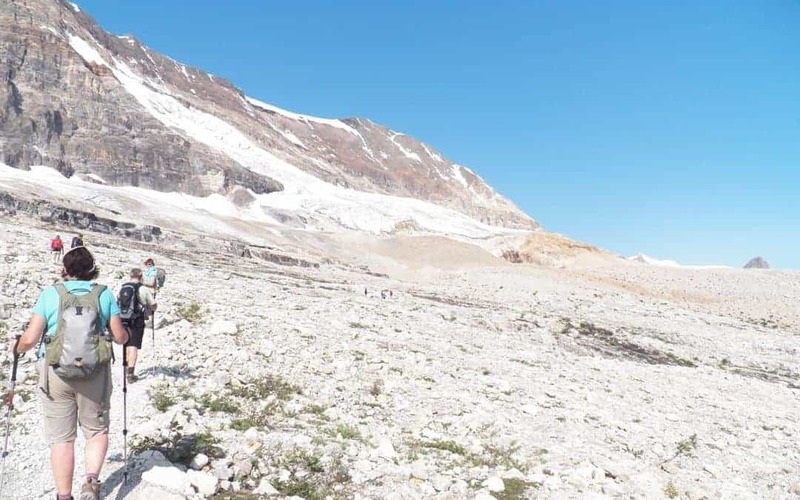 And the best thing about being brave and making my appointment to work on my knee, is when I do the things that I love to do like hiking, biking, walking, swimming and Zumba, I will enjoy it even more! So glad that I decided to make a change and do something about my exercise injury after 20 years of being tough and biting the bullet! Thinking about my preparation to go to physical therapy got me thinking about people who are thinking about seeking support from a registered dietitian nutritionist like me. When it comes to eating, everyone feels like they are an expert because they do it! There is also so much reading out there about nutrition and there is a variety of folks who consider themselves experts when it comes to nutrition so it is important to determine if you are going to stick with the self methods that may not be totally effective and know how to research before deciding who to choose for your nutrition expert. My experience also got me thinking about what are all the barriers for people to come and get help. Are they similar to mine seeking help? Can I earn my client’s trust and give them what they need? This whole experience has not only helped me grow as a person but also a nutrition healthcare provider. I hope that if you are reading this that you will explore more of my blog and website and get to know me and how I can help whether it’s a recipe or menu idea or a tidbit of nutrition knowledge. My story may even be an inspiration for you to see a physical therapist like Sean. Please also feel free to share my site with your friends! I don’t want to not be able to do the things that I love!